Since ancient times, people have sought to explore the outside world - a territory of their habitation, as well as distant countries. 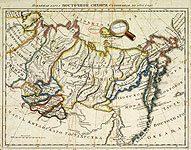 Results from these studies were represented on geographical maps. The path of knowledge has been long and difficult, therefore, along with real information, maps reflected wrong geographical beliefs. This was due to the imperfection of the methods of research, the use of false information, including myths and legends, to create maps, and, simply, errors in the interpretation of the available data. 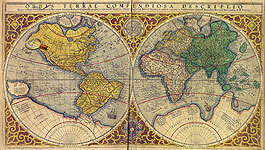 The presented maps illustrate a number of geographical errors of cartographers from different times. 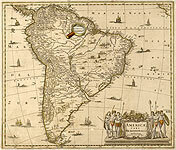 Fabulous countries: Hyperborea, Quivira, Eldorado, the Prester John Reign, Lukomorye. 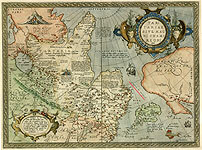 Mythical islands: Frisland, St. Brendan, Brazil, Thule, Magnetic Island, Sannikov Land, Land of Glory of Russia, Maria Theresia Reef.